Carver is a magnet school for academically talented students, many of whom have already expressed interest in future careers in science. 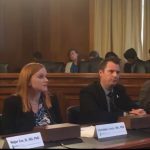 The AACR staff encouraged them to continue cultivating their interest in science, both in the classroom and in extracurricular programs, and advised them to keep their minds open about the many paths that can lead to careers in cancer research. 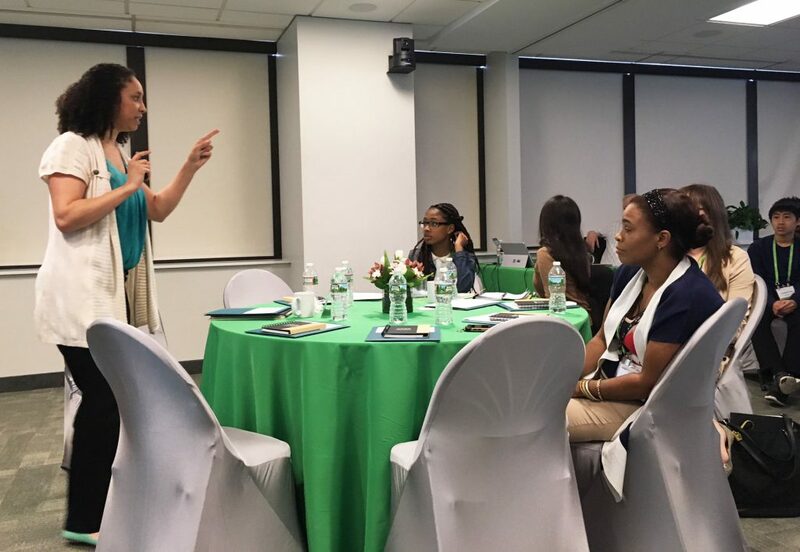 Margaret Foti, PhD, MD (hc), chief executive officer of the AACR, welcomed students from George Washington Carver High School for Engineering & Science. The AACR hosted the program as part of National Cancer Research Month. 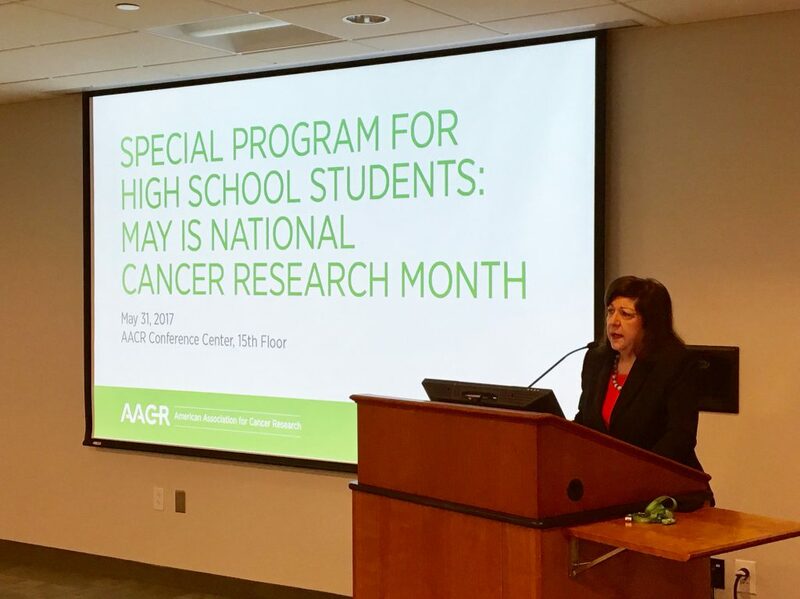 Margaret Foti, PhD, MD (hc), chief executive officer of the AACR, welcomed the students and told them how she majored in political science as an undergraduate and once thought she’d pursue a career in law. 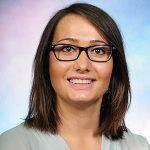 However, a job at an AACR journal ignited her interest in science, and her sister’s battle with cancer further fueled her desire to support the quest to prevent and cure cancer. Ashley James, PhD, senior program administrator, program development, led a session on immunology and immunotherapy. Students said they appreciated the talks from AACR scientists, particularly the encouragement to continue pursuing their love of science. “I love science and math, and while I think I might want to apply it to a career in nursing, it was great to hear about how many other opportunities exist,” said Josue Castillo, a junior. The AACR’s Membership department, which coordinated the visit, was delighted to report that all the Carver students became AACR members after their visit. Further details on our student membership program are available on our website. Looking ahead, the AACR will continue to develop programs and activities to support the next generation of cancer researchers.